Author and raconteur Frank McCourt, in his autobiography, “has examined his ferocious childhood, walked around it, relived it, and with skill and care and generosity of heart, transformed it into a triumphant work of art,” writes Pete Hamill. Frank McCourt has written a triumphant book. His memoir of an Irish childhood is in turns hilarious, heart-scalding, bitterly angry. It takes us through a world of daily, repetitive, cyclical horror in “the lanes” of Limerick in the 1930s and 1940s, providing the sort of soul-murdering detail that no survivor can ever forget. But McCourt’s soul was not murdered. This book is the proof of his survival. This book, this affirmation of humane values in the face of all odds, is his triumph. Keep Pfc. 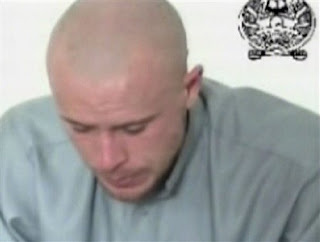 Bowe Bergdahl in your prayers. He's an Idahoan which of course means he's tough enough to endure this terrible trauma. Here's hoping our US special forces find him safely then deliver swift and appropriate justice to his Taliban captors. If you're looking for the Kennedy for City Council page, this is its temporary home! We're getting the website up and running at: kennedyforcda.com, which currently routes to here. You can also join our Facebook campaign group at: http://www.facebook.com/group.php?gid=101246641063. Keep checking in for more updates and a new website! This was just too funny. Growing up in the airline industry (my Dad worked for Pan Am for 30 years, right to the bitter end), the deterioration of service is just remarkable. Creativity in response doesn't get much better than this.